Bye Scott. I love you. See you at the game. Bye Mom. Love you too. I woke this morning with these words echoing in my head. Little did I know on that rushed morning in February 1996 that these words would be our last conversation. 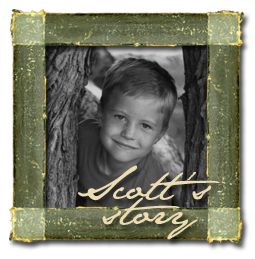 Just a little over four hours later, Scott was airlifted to the regional trauma center, and sixteen short years became the length of his days. Today begins a hallowed time for our family. Although sixteen years have passed, we remember every detail of these dark days with great clarity ~ as if it were yesterday. Today I feel my grief in every cell of my body. Today I long to hear Scott say just.one.more.time – Love you too. Today I am reminded that no matter how dark and difficult the journey, the God of all Comfort has been my faithful companion. It is He who draws near to the brokenhearted and saves those crushed in spirit. It is He who replaces ashes with garlands and clothes me with a garment of praise. It is He who has placed eternity in my heart so I have a hope. Today I cling to hope ~ hope that made it possible for me to take my first steps along this journey of grief. Hope that is rooted in the confidence that God will use my deep pain to glorify Himself and draw others to His Kingdom. Hope that promises to redeem the future.